Saturdays: November 5, 12, 19 from noon to 5pm. The exhibition Interpreting Brooklyn appropriates the landscape of Brooklyn as a point of departure to commission new works by two Taiwanese artists in residency, Kai chun Chiang and Sean Wang. The show is curated by Boshko Boskovic, RU Program Director. Inspired by the diverse neighborhood of South Williamsburg where El Museo de Los Sures is located, both artists will create works that integrate cultural elements stemming from their native Taiwan. The works presented take many forms including photography and video projections. In his proposal for Interpreting Brooklyn, Kai chun Chiang presents historic and present day architectural photographs of Brooklyn that he shot himself or borrowed from archives. Chiang contrasts the rich diversity of the Williamsburg façade patterns with middle class Taiwanese buildings whose wall decoration motifs were influenced by the European style from early 20th century onwards. Sean Wang’s starting point is a collection of Taiwanese landscape photographs which he re-inserts into the Brooklyn scenery. He appropriates the subculture of Taiwanese male amateur photographers who capture female subjects in the urban landscape. In this new hybrid photographic series, his muse is Lin Pin-Han, a professional dancer who has been studying dance since the age of 13. For both artists, their underlying motivation is an act of translation where original photographs are decoded, reconfigured and become a foundation for creating new artifacts. Their compositions are a direct response to their interactions with South Williamsburg. This undertaking establishes an open field of dialogue between historic and contemporary photographs, leaving room for surprises and unexpected developments. This exhibition is made possible with support from the Taipei Ministry of Culture and the Taipei Cultural Center in New York. 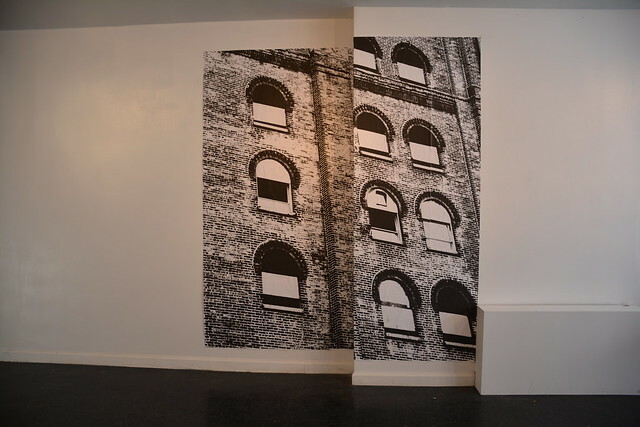 Residency Unlimited (RU) thanks Southside United HDFC for generously providing the El Museo de Los Sures space.